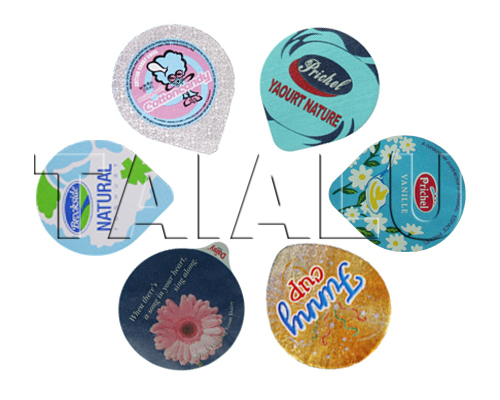 Lids for fresh cheese and others dairy products. 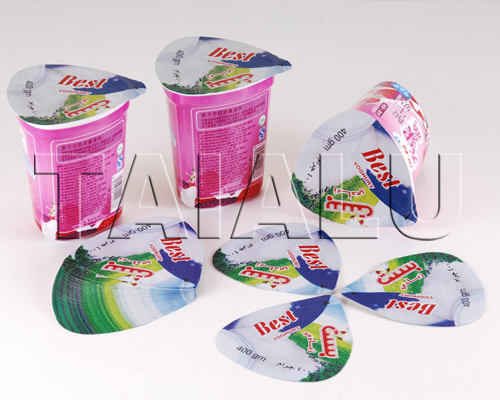 Thickness, size of the foil can be adjusted to meet customer's requirements. 20-50mic Thickness, size of the foil can be adjusted to meet customer’s requirements. Can be printed according to customers’ need. 1. Can be printed. 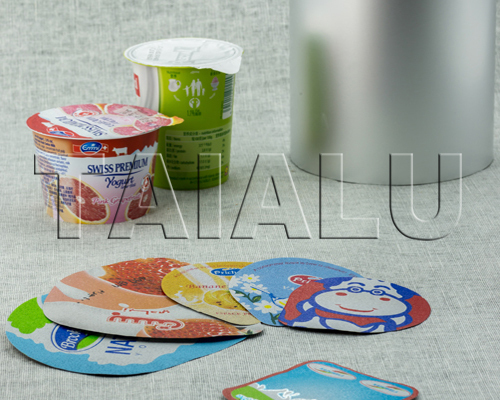 The letter and design is correct, clear, fastness, non-fade in high-temperature heat seal process. 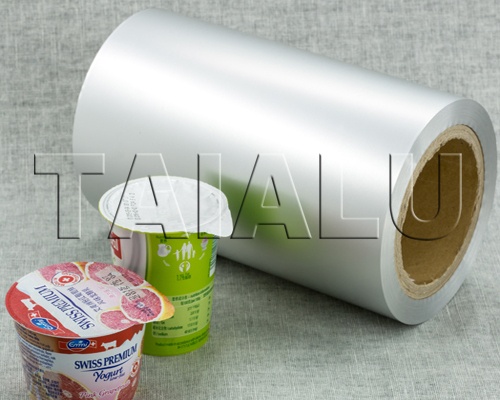 4.Aluminum foil raw materials come from excellent suppliers, make sure products can conform eligible animalcule and pinhole limit.